In 1905, Einstein set the scientific community on an innovative and, at the time, controversial course abandoning the Newtonian concept of space and time and upholding the Maxwell-Lorentz electrodynamics. Was this a leap forward or has the 20th century followed a misleading course? In a thoroughly readable and exhaustively philosophical analysis, backed by rigorous mathematical arguments, Jorge C. Cur? places Einstein's conceptions on historic scrutiny. 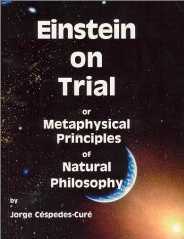 By unifying the Newtonian and classical relativistic conceptions of nature, he establishes a New Physics. A fitting revolution for the new millennium.